With a radical and inclusive approach to history, Modern HERstory profiles and celebrates seventy women and nonbinary champions of progressive social change in a bold audiobook for all ages. Despite making huge contributions to the liberation movements of the last century and today, all of these trailblazers come from backgrounds and communities that are traditionally overlooked and under-celebrated: not just women, but people of color, queer people, trans people, disabled people, young people, and people of faith. 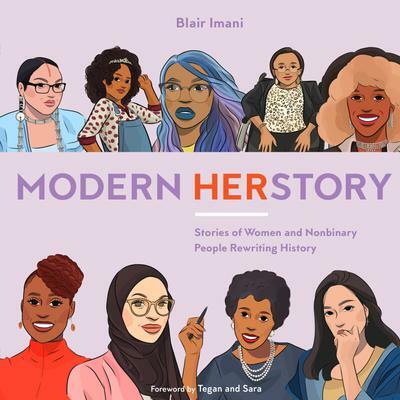 Authored by rising star activist Blair Imani, Modern HERstory tells the important stories of the leaders and movements that are changing the world right here and right now--and will inspire you to do the same.